the decision to prepare for your birth in a proven, logical and systematic way using a toolbox of techniques that are known to work. However you choose to birth, whether at home, at a birth centre or in hospital, this toolbox of skills will allow you to remain calm and confident during this monumental experience in your life. Research shows us that mums who use HypnoBirthing (also referred to as ‘Hypnotherapy birth’) are more likely to have a natural birth with less intervention. Studies also show that a positive birth experience has a significant impact on the mental health of mums and dads as they embark on their parenting journey, whether that be for their first or for subsequent babies. 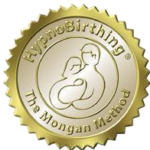 With decades of experience between us, we teach Gold Standard HypnoBirthing classes using the Marie Mongan Method. We offer telephone and email support up to your due date as well as four complimentary Pregnancy Yoga classes at any of our venues in Bristol. These classes are taught by a highly experienced team of yoga teachers who specialise in the area of pregnancy. Our HypnoBirthing classes run monthly in Southville and Clifton and are led by qualified and experienced teachers. Both venues are easily accessible with free local parking at the times we run our courses. Booking online is simple and easy. Don’t just hope for a good birth. Prepare for one.